Keep smiling for the camera while I slip you this check. I love Google! In the last week there have been two stories about disturbing behavior. One about a high school kid who picked on another kid almost 50 years ago. One about a presidential candidate who "allegedly" attempted to bribe his pastor into silence less than four years ago. Curious about the media coverage of these two stories, I ran these two Google searches: "Mitt bullies boy in high school" and "Obama bribes Wright". There has been great weeping, wailing, and gnashing of teeth over a hair cut that Romney gave some kid 50 years ago. There has been almost total silence over Obama attempting to pay hush money less than four years ago, and the source for the story isn't some friend of a friend of a friend. 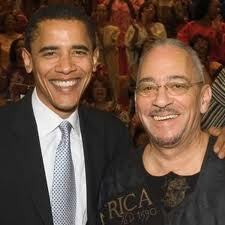 It is no other than Reverend Wright himself in an interview with Edward Klein. No conservative would ever be surprised over the lack of mainstream media coverage concerning a little faux pas from their Dear Leader, but I would personally be embarrassed if I really considered myself a true journalist. Of course, embarrassment implies that one has a conscience and self-awareness. Something apparently sorely lacking in most MSM "journalists". Hey this is total B.S.! Where is my bribe to stay silent until after this year's election? Although I gotta tell ya Barry, it's gonna cost you more than 150K to silence the Crew! Yes, but do you know where the "figurative" bodies are buried?